The first light tower in the world with integrated vertical telescopic mast. The VT1 has revolutionized the market for over fifteen years, becoming the best seller model of mobile light tower in Europe. Thanks to the 4x1000W powerful metal halide floodlights and the 8.5 meters mast, the VT1 can illuminate very big working areas. 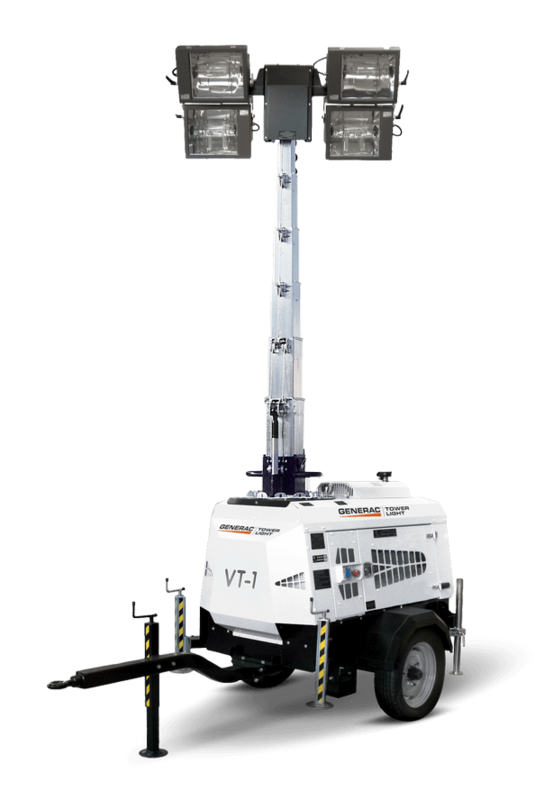 The VT1 is the best-seller model of light tower in the European market, thanks to the vertical mast and the high quality features granted by Generac® Tower Light. The first vertical mast in the world, with an hydraulic lifting system and a maximum height of 8.5 meters. 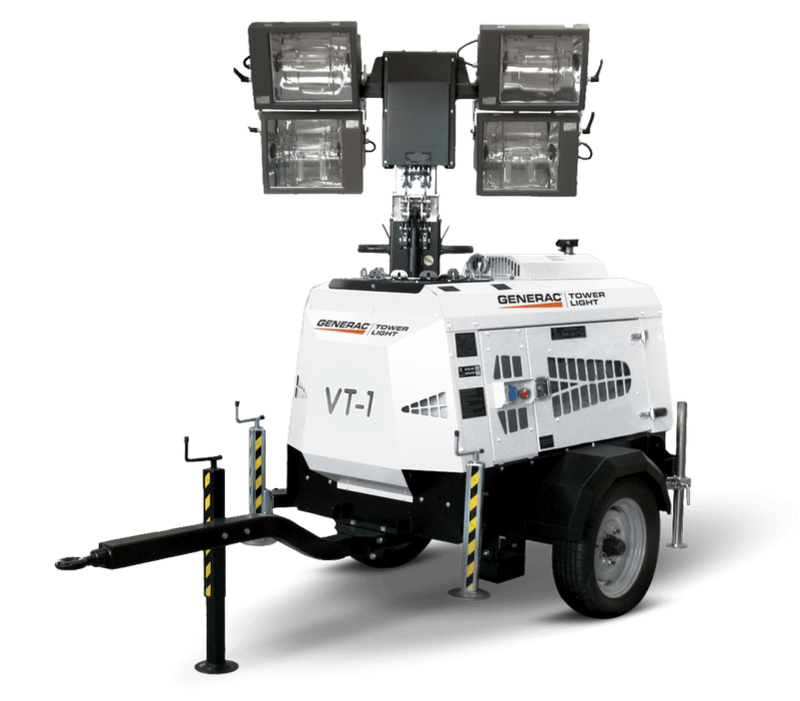 The VT1 is equipped with a GTL01 digital controller specifically studied to manage every function of the light tower for the best ease of use. The VT1 can be equipped with low speed trailer for building sites or road trailer with lights, brakes and documents for EU road homologation. You can choose the engine you prefer between Kubota D1105 and Yanmar 3TN.